Premium Quality Prefinished Red Oak Butcher Block Style Stair Tread. 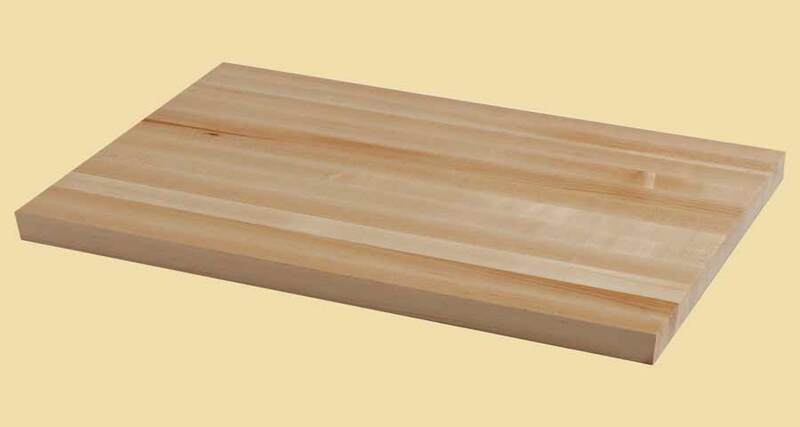 Fill in dimensions and options below for an instant price on any size Prefinished Red Oak Butcher Block Style Stair Tread up to 4-1/2" thick, 29" wide and 120" long. 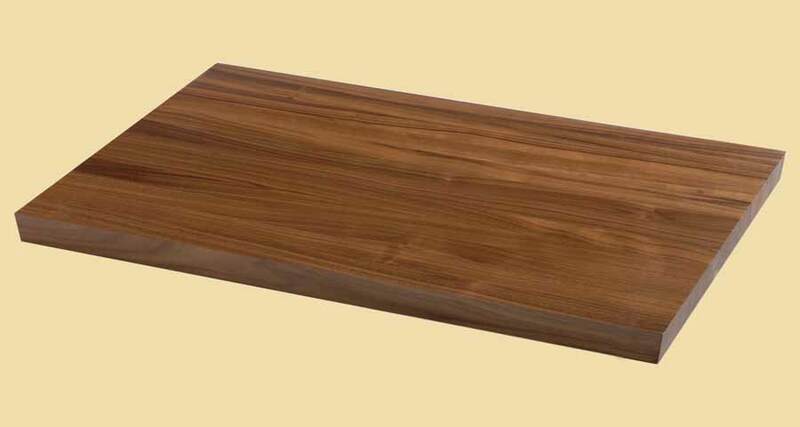 Red Oak's distinctive grain and appealing color variations make it an all time favorite. Red Oak has light reddish tan heartwood, while the sapwood is almost white. These prefinished stair treads are constructed just like a butcher block. They feature 1" wide edge grain strips that run the length of the tread. The first and last strip may be less than 1". Prefinished butcher block style stair treads also make great landings. Prefinished block style stair treads are great for thick treads. They are usually ordered in thicknesses ranging from 2" to 4", but are available as low as 1". Our prefinished butcher block style stair treads will add a beautiful, unique look to any staircase. For prefinished butcher block style stair treads, three coats of our commercial grade, 45 sheen conversion varnish are applied. For prestained butcher block style stair treads, we apply the stain, then three coats of varnish. Please choose from any Woodwright color shown here. Include your stain choice in the comment section of your online order. 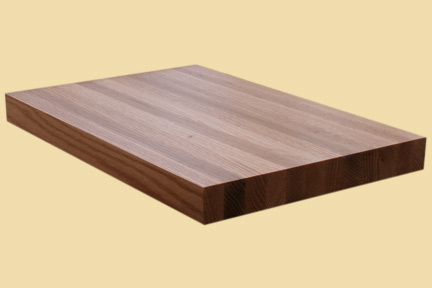 We offer two choices for the nose of butcher block style stair treads: Square Edged and Eased Top Edge. Please select your nose choice below. If you choose the eased top edge, it will be applied to the top front edge of the tread. If you require other edges to be eased, please put a note in the comment section of your order. 1 S: This is the less expensive option and a good choice if the underside will not show. It may contain knots and other aspects that are not visually appealing. This choice is appropriate where the underside, sides and back edge will not be visible. Only the face, nose and about 1-1/2" underneath the nose will be prefinished (and prestained if ordered) on grade 1 S treads. If either of the sides will be exposed, please put a note in the comment section of your online order so we finish those too. 2 S: This is the appropriate choice where all sides, including the bottom, will be visible. They will all be prefinished (and prestained if ordered) and be visually appealing. The Red Oak butcher block style stair treads on this page are sold prefinished. For unfinished, please visit unfinished butcher block style stair treads. Dimensions: 3" x 10-1/2" x 36"